Jeff has been teaching golf professionally for 13 years. He graduated as the President of his class from Golf Academy of America Phoenix campus with honors in 2009. Jeff was a part of the Impact Golf Instructional staff for 5 years at White Deer Run after graduating from the Golf Academy. Jeff gained valuable experience to start his teaching career at Michiana Golf Academy in Indiana for 7 years. Jeff also taught in San Diego at Boulder Oaks for a year before returning to Chicago to rejoin the Impact Golf Team. 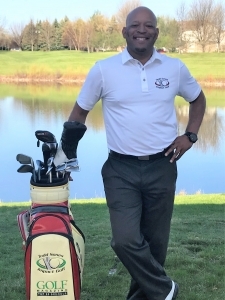 His passion is to help his students improve their game holistically maximizing their scoring potential by working on short game, full swing and putting. His students from juniors to senior players range from beginners to scratch, social to competitive. Jeff gets results for his students, achieving success under his care, teaching and leadership.